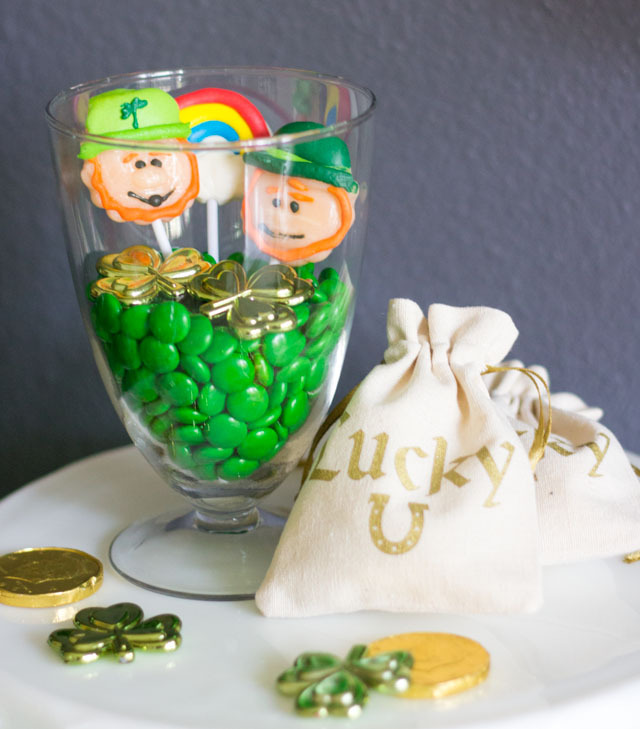 It’s funny how putting a little candy and a couple knick-knacks in a jar can turn out to be so cute! 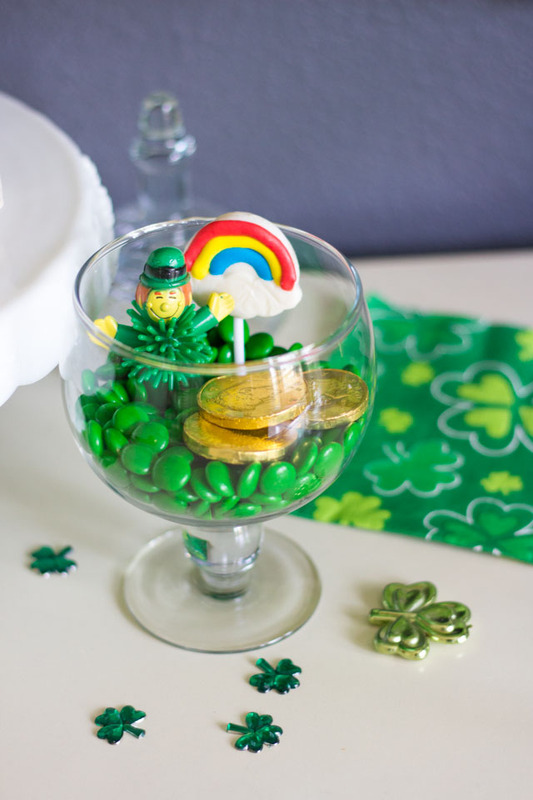 I’ve continued my holiday terrarium series with these St. Patrick’s Day terrariums filled with rainbow lollipops, mini leprechauns, shamrocks, and gold coins all from Oriental Trading. 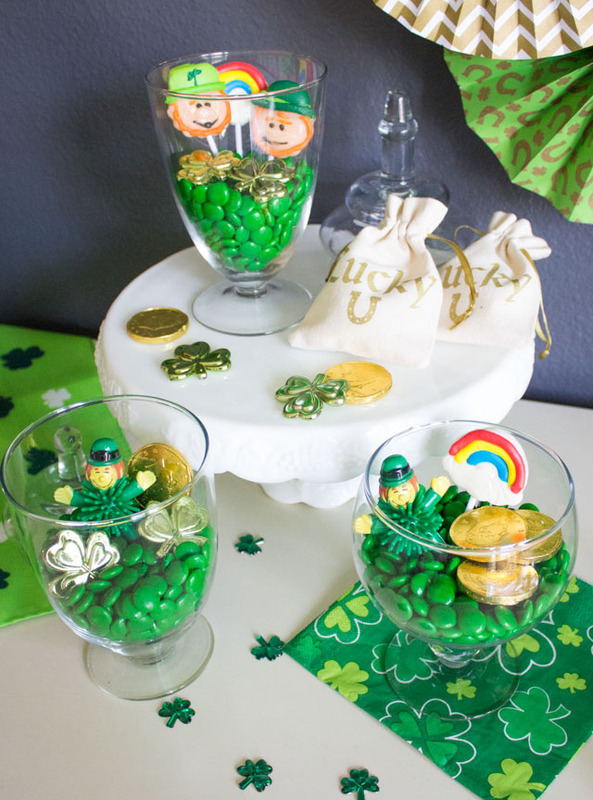 I’ve now completed a full year of holiday terrarium ideas using these same three glass jars – such a fun challenge. Head to the end of the posts for links to each of the ideas if you’d like to start your own tradition of holiday terrariums! 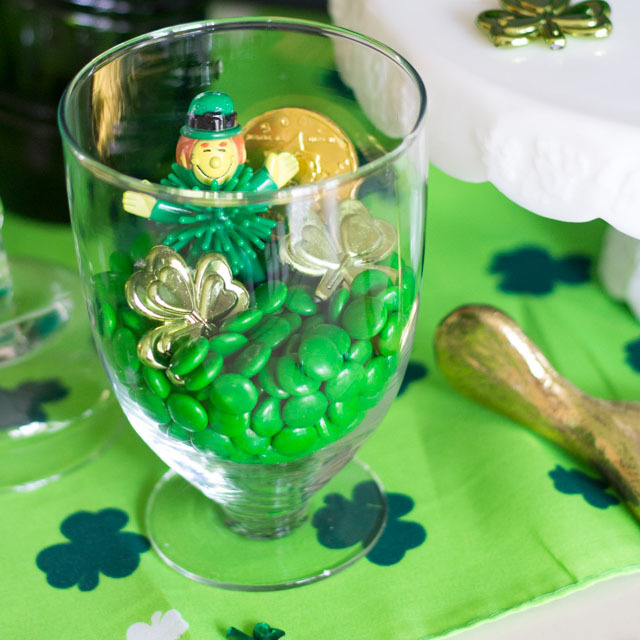 The thing I love most about these terrariums is that you can customize them with whatever you have on hand. 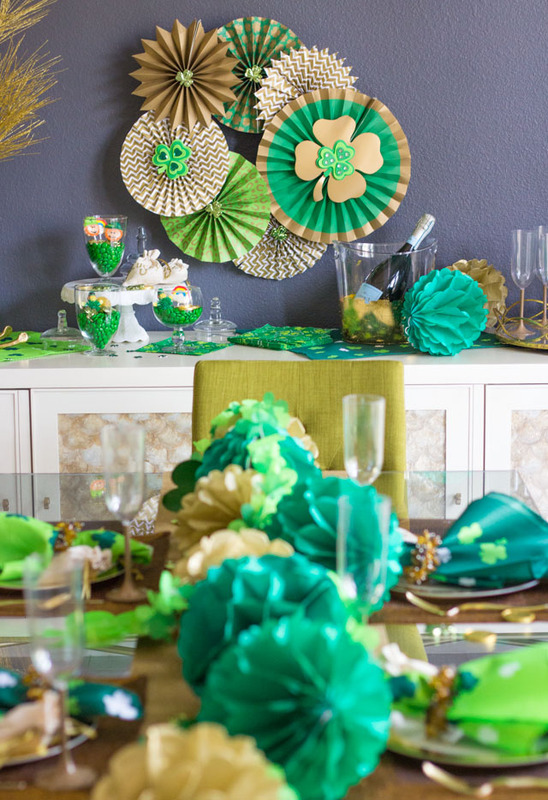 I used the remaining shamrocks and gold coins to decorate for our St. Patrick’s Day dinner! 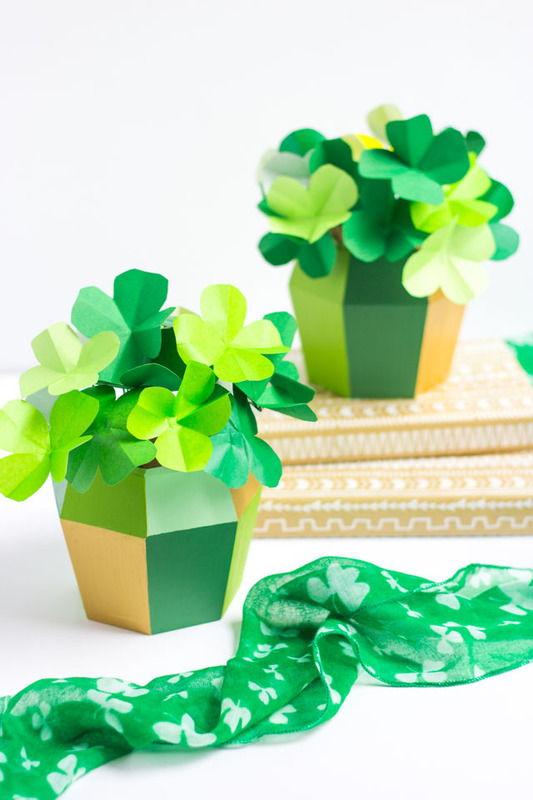 Little trinkets like these mini leprechauns make for perfect terrarium filler. 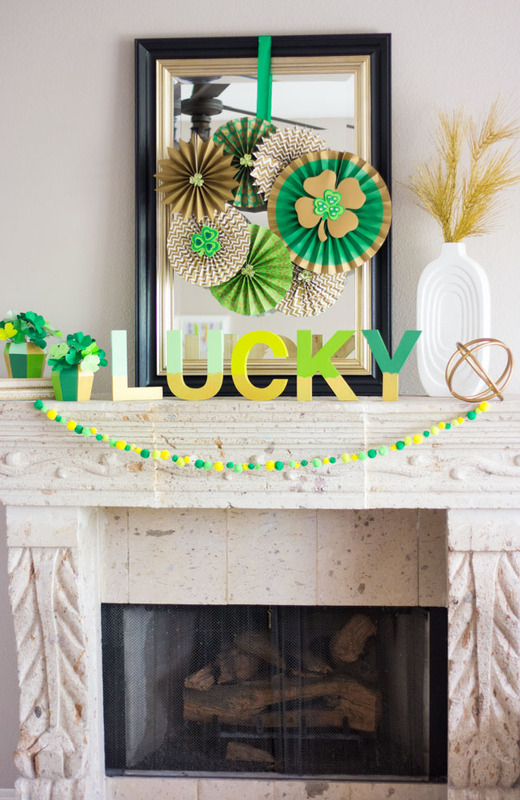 These terrariums are such a fun evolving decoration throughout the year, and one that kids will especially love! 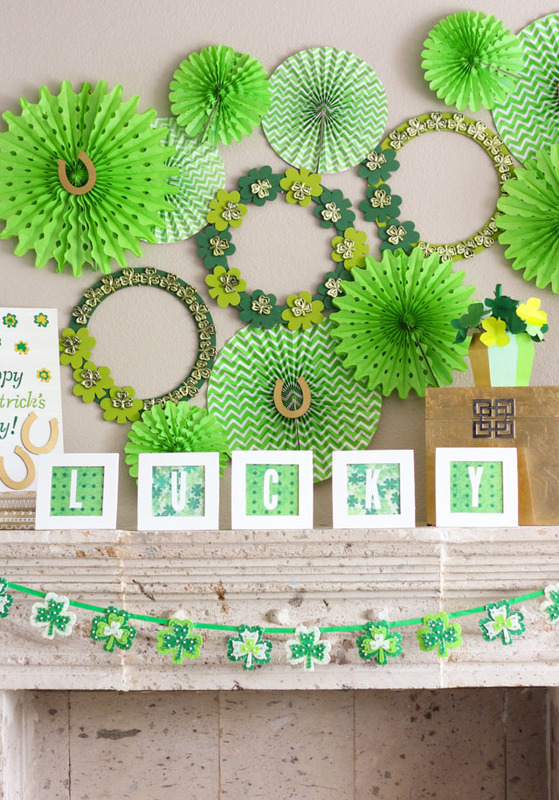 During the summer months you can fill them with sand and succulents to create these colorful sand art terrariums.